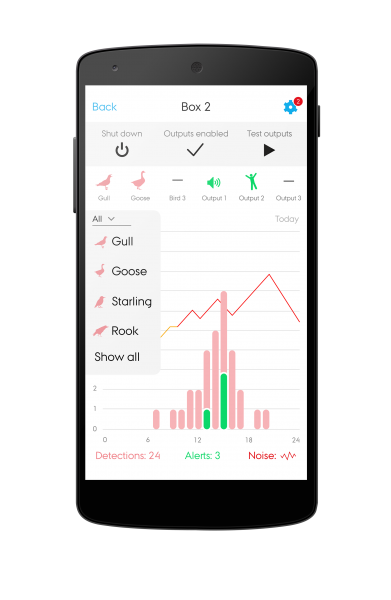 WildDetect was founded in 2012 under the name of “Wildlife Communication Technologies”, as a spin-off from a ph.d. from Aarhus University. The Animan series was the company’s first product, a complete separate system sold directly to end user such as farmers. The system comprised sunpanels, batteries, loudspeakers, sound library and control unit. As soon as in 2012 the company won the innovation contest of Agro Business Park, was honored with three stars by news of Europe and awarded first place in the “field” category of Agromek, the largest trade show for the agricultural industry in Northern Europe. We have now altered our strategy from targeting end users to now targeting businesses. Our chore competencies are our detectionskills, our deep knowledge of scaretools and our sound library of scarerecordings. 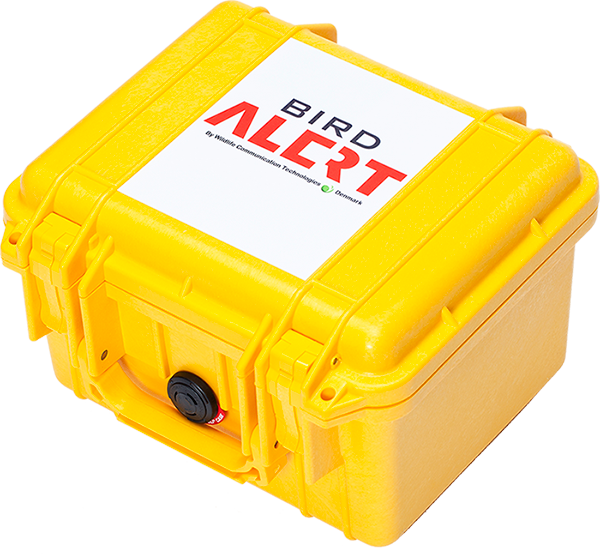 Now we offer solutions for all providers of scaretools, making their selections more efficient with BirdAlert™ – the detection box and the control app. A greater number of businesses may benefit from our products. We see opportunities both geographically and in sectors. The food – and drug industries, mink farms, organic husbandry, farmers of high value crops as well as early seasonal crops will often yield great advantages from an investment in BirdAlert™. We expect to be able to include more scaretools and more species in the future development of the BirdAlert® concept. To start, we will focus on the European countries but potentially, BirdAlert® will be of help anywhere that birds cause problems to people. We have bolstered our team with better sales and leadership. Karen Skriver is now both partner, CEO and sales manager. Strategically strong investors have been associated and the board, too, has been strengthened.